Medical assistants are allied health professionals who work beside physicians and other healthcare workers in doctor’s offices, hospitals, outpatient facilities and other medical settings. 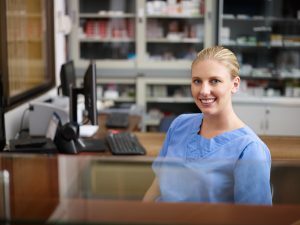 Often medical assistants perform both administrative and clinical duties including medical coding and billing, performing basic laboratory tests, drawing blood, preparing patients for examinations, and other duties as directed. Physicians continue to rely heavily upon medical assistants as their practices grow, allowing the physicians to see more patients. Estelle Medical Academy’s industry leading curriculum offers a specialized approach to Medical Assistant education. 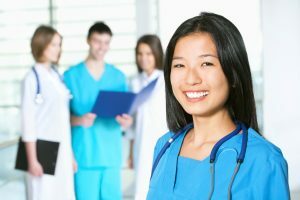 Our program includes the advanced techniques necessary to succeed in the medical industry of today and tomorrow! Avalon University School of Medicine (AUSOM) was founded in 2003 and is chartered by the government of Curacao. AUSOM has an academic team and curriculum which focuses on success of its student body. Learn More about Avalon. Avalon University now accepts one year of credits from the Estelle Medical Assisting program toward their M.D. program! We offer Illinois’ most affordable Medical Assisting course without sacrificing quality of education! Do you offer Federal Financial Aid for the Medical Assisting program? No, Federal Financial Aid is currently available only for our Massage Therapy Program (for those that qualify). We do, however, offer a variety of in-house payment plan options. Please contact us at (847) 673-7595 to speak with an Admissions Representatives about the financing options available to you. Why is your tuition so low compared to other schools? You’re right, among the other medical assisting schools in Illinois, our tuition is one of the lowest. We are dedicated to provided a quality, unique educational experience and don’t believe in overcharging for it. We want you to succeed! Depending on your chosen schedule, you can finish our program in as little at 7 months and be on your way to a rewarding career! Our exclusive Estelle medical assisting curriculum will allow graduates to work in a variety of medical and related environments. Graduates can work as medical assistants in a primary care clinic, hospital, dermatology office, plastic surgery center; medical administrative assistant in a medical clinic; pediatric facility; cancer care center, medical spa, and more. Contact us at 847.673.7595 for more information and to schedule a no-obligation Campus Tour! Graduates will not be estheticians nor licensed to practice procedures considered by the State of Illinois to be esthetics. 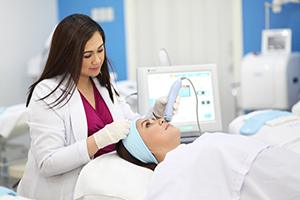 Individuals performing procedures outside their scope of practice are doing so as an unlicensed assistant to a physician and must not hold themselves out to be estheticians. No school can guarantee employment.